The Russian-born American choreographer George Balanchine formed and established the classical style (relating to music in the European tradition) of ballet in America. 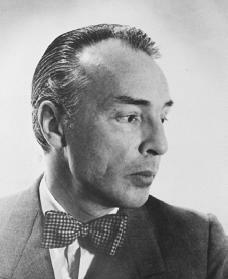 George Balanchine was born Georgi Melitonovitch Balanchivadze in St. Petersburg, Russia, on January 22, 1904, the son of Meliton and Maria (Vassiliev) Balanchivadze. His father was a composer. Balanchine studied the piano as a child and considered a career in the military, which his mother encouraged. However, at the age of ten, he entered the Imperial Ballet School, where he learned the precise and athletic Russian dancing style. After the Russian Revolution of 1917 (the rebellion of the Russian people against the ruler of Russia), Balanchine continued his training in a new government theater. In 1921 he entered the St. Petersburg Conservatory of Music to study piano while continuing work in ballet at the State Academy of Opera and Ballet. He used a group of dancers from the school to present his earliest choreographed works. One of the students was Tamara Gevergeyeva, whom Balanchine married in 1922. She was the first of his four wives, all of whom were dancers. In 1924, when the group traveled to Europe to perform as the Soviet State Dancers, Balanchine refused to return to the Soviet Union. The manager of the Ballets Russes, Sergei Diaghilev (1872–1929), discovered Balanchine in 1925 in Paris, France. When Diaghilev's most famous choreographer, Nijinska, left the group, Balanchine took her place. At the age of twenty-one he became the main choreographer of the most famous ballet company (a group of ballet dancers who perform together) in the world. Balanchine did ten ballets for Diaghilev, and it was Diaghilev who changed the Russian's name to Balanchine. When Diaghilev died and the company broke up in 1929, Balanchine moved from one company to another until, in 1933, he formed his own company, Les Ballets. Ballet in New York City. With the School of American Ballet and later with the New York City Ballet, Balanchine established himself as one of the world's leading classical choreographers. Almost single-handedly he brought standards of excellence and quality performance to the American ballet, which up to that point had been merely a weak copy of the great European companies. In 1934 the American Ballet Company became the resident company at the Metropolitan Opera in New York. Audiences were treated to three new Balanchine ballets, Apollo, The Card Party, and The Fairy's Kiss —works that revolutionized American classical ballet style. Balanchine's style proved a bit too daring for the Metropolitan, leading to a conflict that ended the working relationship in 1938. Over the next several years he worked on Broadway shows and films and two ballets, Ballet Imperial and Concerto Barocco, which were created in 1941 for the American Ballet Caravan, a touring group. In 1946, following Kirstein's return from service in World War II (1939–45), he and Balanchine established a new company, the Ballet Society. The performance of Balanchine's Orpheus was so successful that his company was invited to establish permanent residence at the New York City Center. It did so and was renamed the New York City Ballet. Finally Balanchine had a school, a company, and a permanent theater. He developed the New York City Ballet into the leading classical company in America—and, to some critics, in the world. Here he created some of his most enduring works, including his Nutcracker and Agon. Balanchine's choreography was not dependent on the ballerina's skills, the plot, or the sets, but on pure dance. The drama was in the dance, and movement was solely related to the music. For Balanchine the movement of the body alone created artistic excitement. He placed great importance on balance, control, precision, and ease of movement. He rejected the traditional sweet style of romantic ballet, as well as the more acrobatic style of theatrical ballet, in favor of a style that was stripped to its essentials—motion, movement, and music. His dancers became instruments of the choreographer, whose ideas and designs came from the music itself. Balanchine died in New York City on April 30, 1983. Summing up his career in the New York Times, Anna Kisselgoff said, "More than anyone else, he elevated choreography in ballet to an independent art. In an age when ballet had been dependent on a synthesis (combination) of spectacle, storytelling, décor, mime, acting and music, and only partly on dancing, George Balanchine insisted that the dance element come first." Buckle, Richard, and John Taras. George Balanchine, Ballet Master. New York: Random House, 1988. Kristy, Davida. George Balanchine: American Ballet Master. Minneapolis: Lerner, 1996. McDonagh, Don. George Balanchine. Boston: Twayne, 1983. It gave me a great amount of information on the greatest choreographer to this day.